No matter your major or current career, you can always change your mind and your path. 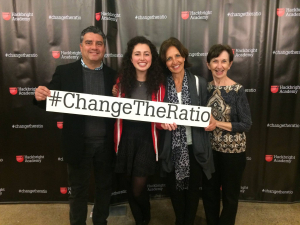 That’s what Hackbright alumna Olivia Bettaglio did. 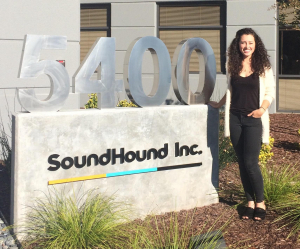 Now a software engineer at SoundHound, she hasn’t looked back since. “I began my journey in tech with the understanding that I will never run out of things to learn, and I never want to!” she says. Here, we asked how learning to code helped her change her career and kickstarted her life as a leading woman in tech. What did your life look like before Hackbright? Before Hackbright, I was a recent graduate of UC Santa Barbara with a degree in biological psychology. I loved the program and the field, but after several years of studying, I realized that neither medicine nor research was the path for me. Soon after graduation, I turned to computer science because I was inspired by my peers in the industry – not only did they have amazing jobs lined up after college, but they loved their work with a zeal that I wanted for my own career. After working through several online courses and discovering my affinity for programming, I was advised by a close female mentor that I should seek higher education. She insisted I apply to Hackbright’s full-time fellowship, stressing that we need more female minds pushing the boundaries of tech. 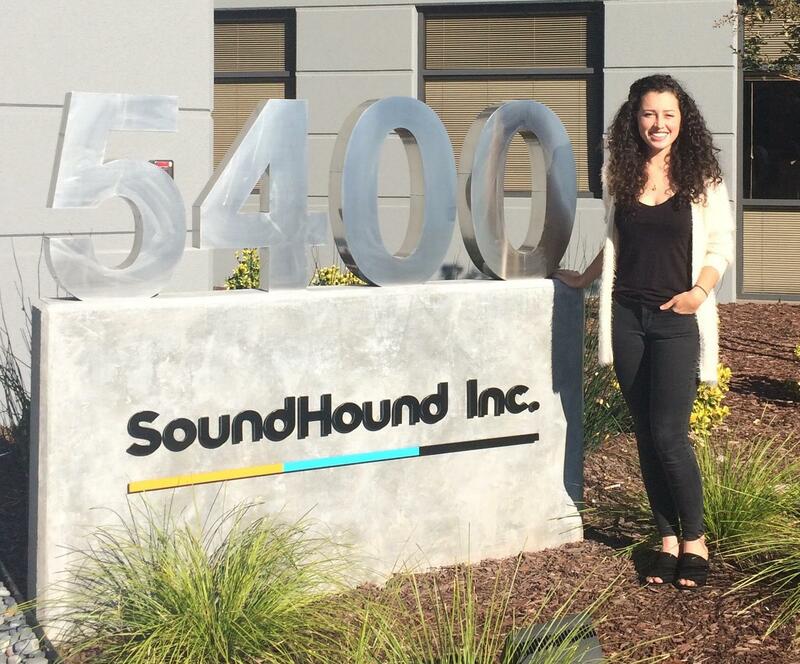 I’m currently a software engineer at SoundHound, a music and voice AI company in Santa Clara. I work primarily on the data team, where I get to utilize the data from our apps to create interesting and exciting experiences for our users. It’s a dream role for me, and I have a lot of room for growth and learning. What was the process from application to graduation at Hackbright? What were your favorite and most challenging experiences? I was lucky enough to find Hackbright a week before the application deadline. I immediately jumped into gear and put my best work into the coding challenge and interview, because I knew that Hackbright would give me the guidance and peer support I had craved after months of self-study. I was graciously accepted, and a month later, I was attending my first Hackbright lecture! My time in the program felt non-stop, and I enjoyed the constant challenge of learning so much material each day. Each lesson was solidified immediately by a pair-programming lab, in which I partnered with a member of my class to directly implement the tool or technique we had just learned. After 10 weeks of instruction, we had each built a project with these tools that was entirely our own. I accomplished so much at Hackbright, and it was all possible with the support of my incredibly talented peers and staff who had my back every step of the way. Immediately after Hackbright, I took time to prepare for interviews with an army of Career Services resources at my fingertips. The job search wasn’t trivial, but my hard work has paid off! I am ecstatic to be working as a software engineer at a forward-thinking company, strengthened by the mentorship of my brilliant team members. But even that is not enough – I’m still enrolled in online courses for everything from applied data science to building in Java. I began my journey in tech with the understanding that I will never run out of things to learn, and I never want to! What’s your advice to women considering a career change to tech? If you’re thinking of making a career change, I urge you to go for it! Start small and see what you can accomplish with only your curiosity. There are so many online courses and tutorials out there – like Codeacademy or Coursera – try anything that looks interesting. And if you find that you love what you’re learning, seek out guidance to accelerate that learning. Hackbright is a great way to solidify years’ worth of knowledge in a short time, and you’ll emerge with all the practical abilities that will help you succeed. Talk to alumnae and try to imagine yourself following their path. 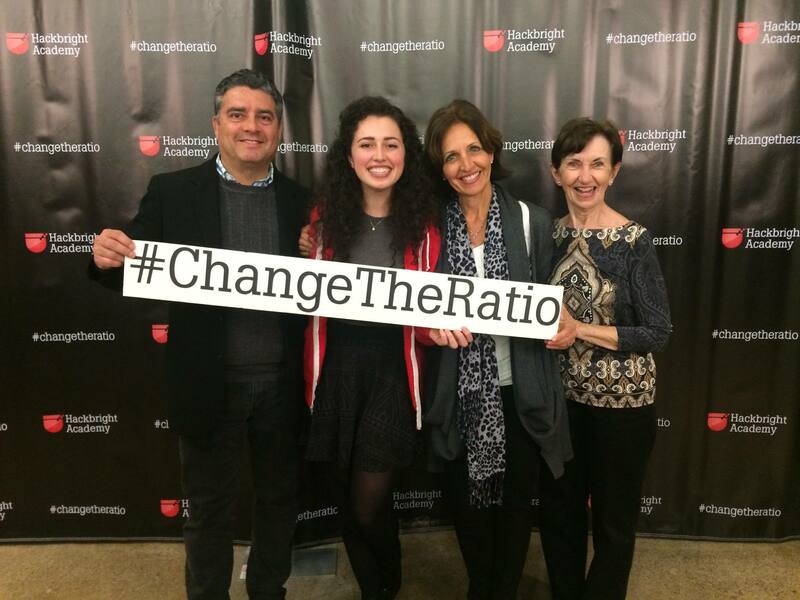 And, ultimately, I want to stress the importance of Hackbright’s ‘Change The Ratio’ mentality. A community of women doesn’t sound so radical and life-changing until you exist in one. Every day I entered the Hackbright classroom, I felt that my ideas were heard and valued, and I knew that the bonds we created would be lasting and strong. I’m so grateful to have experienced my career change with a group of powerful women whose friendships mean the world to me. Interested in learning more? Check out our upcoming Part-Time Prep Course in San Francisco and our full-time Software Engineering Fellowship. Hackbright Academy offers a deferred tuition program to select, eligible students.